Vivian Lee Solomon was born on October 26, 1953 in Lamar, Missouri to Richard Shelby Jenkins and Bonnie Lee (Scritchfield) Jenkins. Vivian grew up in Golden City, graduating from high school there and spending much of her life in that area except for small amount of time in Tulsa, Joplin and Springfield. She moved to Branson in 1997 from Golden City. Vivian had done clerical and secretarial work for different businesses. One of her greatest life accomplishments was being a wonderful care giver. She gave much love and time raising her son whom she was so proud of and she cared greatly for her parents the last several years. She also had great affections to all sorts of animals, especially horses. 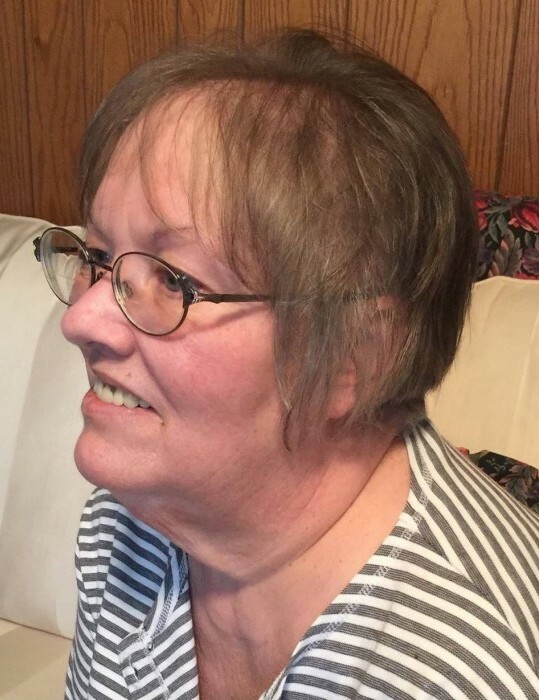 Vivian entered into rest on Wednesday, February 6, 2019 at the age of 65 in Branson. She is survived by her son, Shelby Solomon and wife Mandy of Dallas, TX and her parents, Richard and Bonnie Jenkins of Branson.